Today, bone augmentation is an important chapter in implant treatment. This book describes different possibilities to augment the bone volume in the maxilla and the mandible. 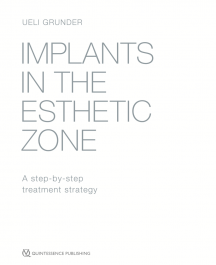 The text includes the underlying scientific concept of the different methods from grafting with mandibular bone, to grafting with bone from extraoral sites, to GBR techniques and biomaterials up to augmentation with distraction osteogenesis as well as detailed guidelines for practical application. Important criteria for success are presented, as well as, possible complications and their treatment. 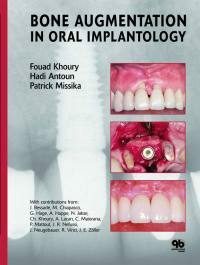 Bone Augmentation in Oral Implantology is a must-read for every implantologist, oral and maxillofacial surgeon, and anyone with an interest in dental surgery. Sinus augmentation has become a routine surgical procedure to increase the height of the edentulous atrophied posterior maxilla. Numerous techniques have been used successfully, allowing a high survival rate of implants placed after sinus elevation. This book highlights the anatomical landmarks and describes, using clinical cases, the latest ultrasonic devices used for both lateral and crestal approaches, including their possible complications. 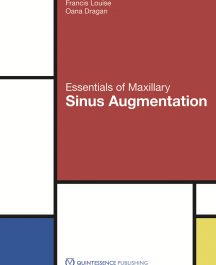 With step-by-step clinical images, this book will help the clinician to make rational decisions for maxillary sinus augmentation, and to treat any complications that occur during surgery. 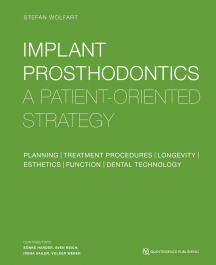 This is an extremely accessible and up-to-date resource that every dentist should have in their office, for clinical guidance in their treatment planning or when performing sinus augmentation. 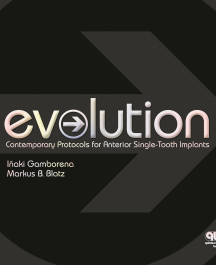 While a wealth of specialist literature is available on the surgical aspects of implant dentistry, there is no comprehensive, systematic textbook on the implant-supported prosthodontic rehabilitation of the patient – which is the true goal of almost every implant treatment. 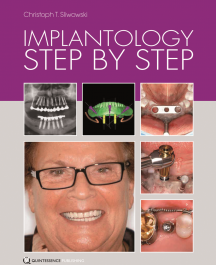 Implantology Step-by-Step, a consistently practice-oriented, instruction-based and illustrated technical textbook, has provided guidance and help to a whole generation of dentists venturing into the field of dental implant treatment. This book is the fruit of a long friendship between two periodontists whose aim is to promote periodontal health in Europe. They have been actively involved in the activities of the European Federation of Periodontology for the past 20 years and have participated together in the organizing committees of several EuroPerio meetings. 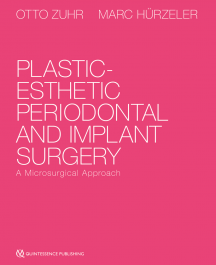 Both authors have considerable clinical experience in periodontology and implantology. 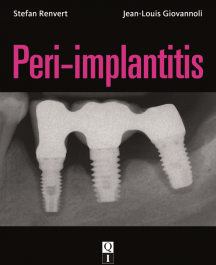 Practical Implant Dentistry offers a practical and pragmatic approach to implant dentistry for the discerning practitioner involved in this very exciting field. 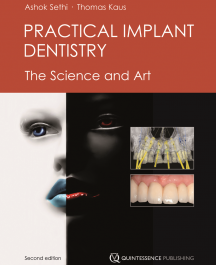 The second edition of this book describes in detail the clinical procedures required to carry out a broad range of treatments available in implant dentistry today, illustrated by updated full-colour images. This book, however, shows the structures of the maxilla, the mandible, and the nasal cavity as they actually exist in the dissected or live body, through the presentation of cadaver specimens and clinical cases. Several of the chapters include full-page images of specific cadaver sections with all the relevant anatomical parts labeled for convenience. Cone beam computed tomography images are also presented to show how this technology can be used to measure the bone density, the width of the alveolar ridge, and the exact distance available for implant placement under or above certain anatomical landmarks prior to implant selection. 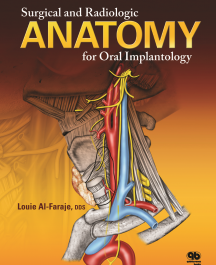 This book will simplify the learning and execution of implant-related surgical procedures in a region of the body that presents special topographic and anatomical difficulties. Minimally invasive surgical techniques are being increasingly used throughout medicine, often replacing conventional surgery. In many instances conventional techniques cannot match the outcome obtained with them. Transcrestal sinus floor elevation has become increasingly popular and a logical target for these innovations, but recent reports cast doubt on the efficiency and predictable success of the technique. This book is intended to alert the reader to the shortcomings of the various techniques of transcrestal sinus floor elevation, with the intention of providing a blueprint to help develop transcrestal sinus floor elevation into a surgical technique that meets the general medical standards of a minimally invasive procedure.